When you join Mira Vista, we ensure a detailed strategy for your plane. Mira Vista will handle all hiring, training and currency of crews. The in-flight crew will handle all scheduling and logistics needed for each trip, including but never limited to flight plans, dispatch, catering, transportation and customs. On the ground, our professional operations team is there to ensure your aircraft is well maintained and properly kept in one of our private hangars. Our dispatch/flight coordinators manage and research fuel contracts with worldwide vendors for discounted fuel purchases to find the best rates. The dispatch team works with our flight crew to monitor fuel pricing at locations before a trip to ensure that fuel is being purchased at the lowest possible rate. To reinforce our dedication to cost-effective aviation, Mira Vista has enrolled in numerous worldwide contractor fuel programs. With the client’s experience in mind and recognizing maintenance as a top priority in safety, Mira Vista has partnered with Western Jet Aviation, Inc. a full-service FAA Certified Repair Station. Western Jet is based in Van Nuys, California, and is a leading maintenance facility in the United States. 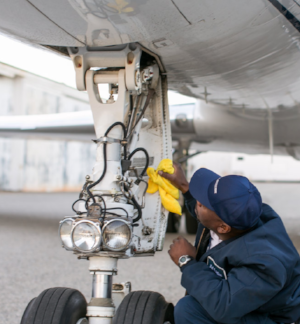 Mira Vista and Western Jet together provide broad-based maintenance. Services range from scheduled engine and airframe maintenance, troubleshooting and repairing a small discrepancy or pre-flight maintenance and repair of AOG aircraft. Learn more about Western Jet Aviation by visiting their website. Alleviate the stress of aircraft ownership by creating a management strategy. With Mira Vista, your capital investment will be administered by professionals with an eye for detail and a passion for excellence. Contact one of our professionals to make your aircraft work for you.